Applications are now open for the Iowa Agritech Accelerator. The program will take on six startups from the region with an idea, intellectual property or prototype for agricultural innovation. Each will receive $40k in seed funding, as well as education and mentoring from a long list of strategic companies partnering with the program. One of those strategic partners is agricultural machinery giant John Deere, which is making one of its first forays into the agritech investment space with this accelerator. Three members of the senior management team will be involved in the program including Chris Davidson, director of planning and business development of John Deere’s Crop Care platform — the division including spraying, seeding, tillage, and planting hardware. John Teeple, director of technology in the Precision Ag Technology Group (ISG) is also taking part, along with Lane Aurhur, director of the Digital Solutions Group. Each of the three will provide mentorship to different, relevant startups. We caught up with Davison and Teeple to find out more about the corporate’s decision to engage with the accelerator. How have you been interacting with agritech startups until now? Teeple: It’s probably been more opportunistic where we’ve identified a specific capability or company to partner with, or they’ve approached us opportunistically, so this is the first time we’re taking a proactive role in being at the inception of an agritech accelerator or startup, and being part of the development effort. This is a first for us. Davison: This gives us the opportunity to really drive innovation and is the first time we’re doing this that I’m aware of. What appealed about this accelerator? Teeple: As a $34 billion ship, we’re big, and we are not as attached to that startup mentality as we could be, so this offers us the perfect opportunity to provide intimate mentorship to startup companies — in a startup culture — with our team of experts in the industry. But it’s a two-way street as it keeps us active and in touch with the industry; maybe we would otherwise miss certain innovations, so it’s a development thing for us as well. “We’re also on the list with some pretty key companies in the industry, so it makes sense for us, particularly as it’s focused on Iowa, where John Deere employs the most amount of staff, or the same as in Illinois. (The other companies investing in the accelerator are DuPont Pioneer, Farmers Mutual Hail Insurance Company, Grinnell Mutual, Kent Corporation, Peoples Company and Sukup Manufacturing. Why do you want to be in touch with the startup industry? Why is that important to you? Teeple: Because agriculture is evolving so fast. The technological developments taking place in other adjacent industries have applications in agriculture, and the digitization of agriculture is happening quickly. There’s a dramatic amount of change and interest in the space. 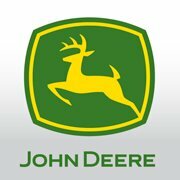 John Deere has been on the leading edge of precision agriculture in large production ag for years, and we’ve seen it evolving fast, but we haven’t had a corporate venture arm based in Silicon Valley as we’ve been doing a lot of other things opportunistically. We are now looking at establishing a presence in Silicon Valley but we also want to access early stage startups in the Mid-West, where they understand our customers best. We can bring a variety of assets to the table with our knowledge, skills, and experience of the last 180 years, to really benefit startups and give us access and visibility to what’s happening. Why do you think you haven’t had a venture capital arm? We have made some equity investments, but we’ve done them on a more ad hoc basis and haven’t been organized that way. Historically, we have had a very high degree of organically-developed technology and products. We’ve also been acquisitive and used inorganic approaches to grow over 180 years. We have 58k employees working every day to advance precision agriculture technology as it’s a core business for us now. Davison: We have been able to do a lot organically and have been extremely successful, but we now recognize that there are other ways to do this that are mutually beneficial and can help us grow. The most recent deal we did was acquiring Hagie Manufacturing last year; that was one of the first ventures we went into that wasn’t organic. What did Hagie bring to the table? Davison: This was an example of where we needed a high clearance, front mount boom for late-season nitrogen application. We could have either organically developed that or acquired it in. But another thing Hagie brought was a clear understanding of the Iowa corn customer and late season nutrient application, which was something we didn’t have so it really worked out well to bring the two together. We also recently acquired Monosem, which is the European precision planting leader; they do have a North American business as well, but really we acquired them for their clear understanding of the European planter customer that we didn’t have. To apply for the Iowa Agritech Accelerator, click here.